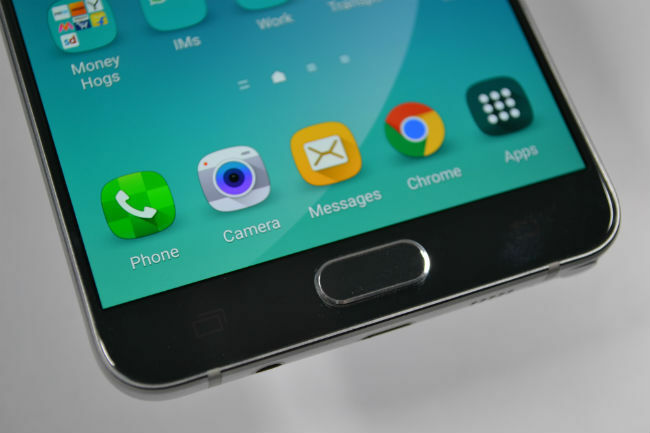 With the Galaxy Note 5, Samsung has completed the transformation it started with the Galaxy S6 this year. The phone is a combination of power and design, and not many would deny that the phone looks good and performs well. It’s pure style, combined with good performance. The only real hitch is that a phone this expensive shouldn’t be prone to falling out of your hand. If you’re looking for a flagship phablet, then this is still the one to buy though. Having reviewed three out of four Samsung flagships this years, there’s not much left to say about the Galaxy Note 5 that we haven’t said in those other reviews already. 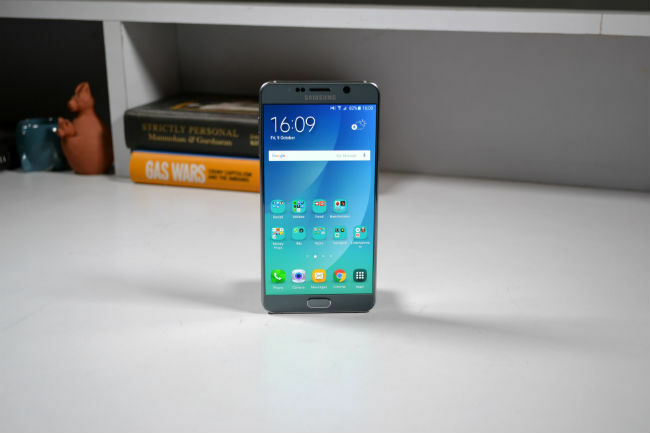 What differs though is that The Samsung Galaxy Note 5 has much more to live up to than the other devices. This is a segment that Samsung pioneered, which means that the responsibility of innovating falls on its shoulders. Evidently though, the company’s focus this year is on design, because that’s precisely where the Note 5 is different from other Note devices till now. 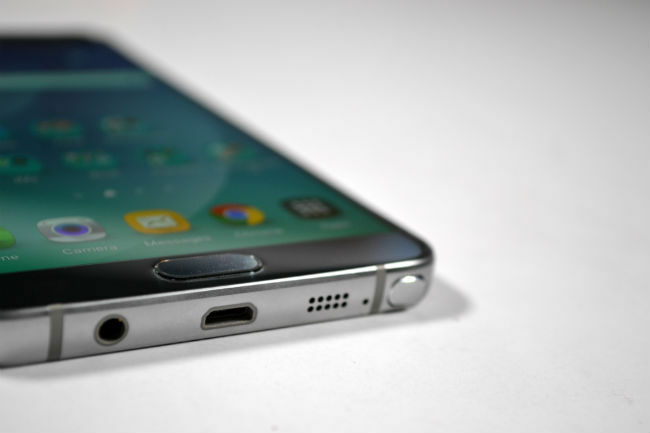 The glass and metal design philosophy that Samsung adopted for its flagships, continues with the Note 5. The phone has curved glass on the back and a sheet of Gorilla Glass 4 on the front. But you already know about that. What you need to know is that while the Note 5, like the Note 4 before it, is more compact than other phones in this series, it remains unwieldy. Many seem to like this large size though, so the decision falls on the buyer. The heavy usage of glass though makes the phone really slippery and prone to falling out of your hand. None of that changes the fact that the phone looks premium though. 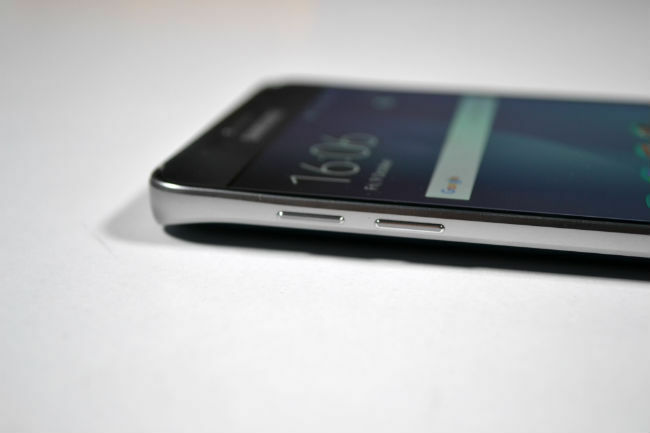 The curved glass on the back has but one job, and that is to make this phone look good and different. 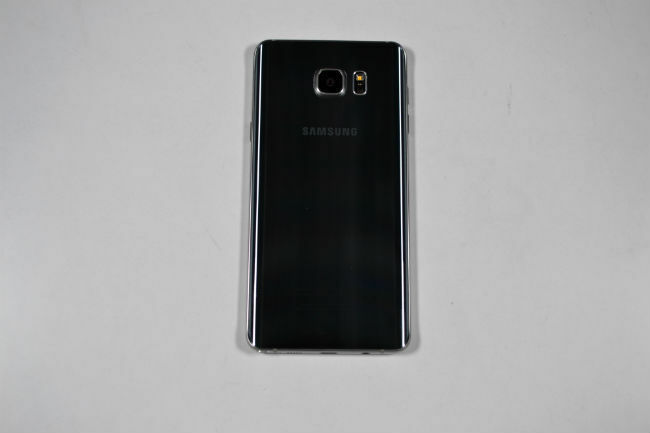 From the front though, it’s a quintessential Samsung design, and whether you like it is completely your own opinion. For us, we would give Note 5 a lot of marks on the looks front. If you’ve read out Galaxy S6 Edge Plus review, you already know how good the Note 5’s display is. The 5.7 inch QHD SAMOLED display is one of the best out there. What’s interesting is that Samsung has toned down the yellowish-ness of the display. The Galaxy S6 Edge has a pretty warm display, to the point that it looks like the odd one out when placed next to an LG G4 and Sony Xperia Z3+, but the Note 5’s display is not as warm as we’ve come to expect from Samsung. Colours are really vivid on the display, and if you’ve liked Samsung displays till now, this one’s to die for, just like the S6 Edge Plus. The S-Pen on the Galaxy Note 5 is as good as it ever was, and a tad better. That said, even with a 5.7 inch display, there's only that much that you can do. If you've been a big proponent of Samsung's S-Pen though, then the one on the Note 5 is easily the best till now. It writes almost like a real pen and Samsung has added the option to add apps to the Air Command menu. So, you can now add apps like Evernote, OneNote and others to the Air Command menu and write on them using the S-Pen. What's more useful though is the Screen Off Memo option, which allows you to write with the S-Pen even with the display turned off. Whenever you pull the S-Pen out of the Note 5, the screen will remain black, but you can write on it and jot down a few notes. It's limited in the sense that there's only that much you can write on a 5.7 inch display, but its pretty useful nevertheless. Lastly, and perhaps most importantly, the Galaxy Note 5 can alert you if you've left the S-Pen behind somewhere. This perhaps is something that every Note user would appreciate, considering how many have lost their styluses. The S-Pen Alerts option is turned on by default and you can turn it off from the Settings menu. Benchmarks don’t ever suffice for performance testing, but Samsung’s got both the aspects covered with its Exynos 7 Octa processor. This is the same processor that runs on the Galaxy S6, S6 Edge and the S6 Edge Plus. In regular usage, the Galaxy Note 5 can take anything you throw at it, and the bigger size of the phone, allows for better heat circulation, allowing the average clock speed to remain higher than in the Galaxy S6 and S6 Edge. The performance of the phone can’t be credited to the SoC alone though. While Exynos 7 is a good processor, the Note 5’s performance owes a lot to the fact that Samsung has made no compromise. The sequential read speeds for the storage on the phone come to around 440 MB per second which for the general public, translates to really good. In addition, DDR4 RAM allows the performance to be even smoother, and 4 GB of it, allows for a lot of multitasking. The overall performance of the Note 5 is a combination of processor, NAND and RAM, and they all do well working in unison. It’s the best performing Android phone in the market right now, speaking in terms of pure performance. Even the call and network performance on the Note 5 is better than others. In a room with 5 people on the same Vodafone network, the Note 5 can get a 3G signal even when others are stuck on Edge. This is something that many iPhone users report about their devices. It would be worth mentioning that the Galaxy Note 5 sends diagnostic reports to Samsung servers whenever it's connected to a WiFi. You can turn this off from the Settings Menu, by going into Lock Screen and Security. I have contacted Samsung to clarify that the Reports are indeed only diagnostic reports, and am yet to hear back from it. All the performance though, usually take a toll on the battery life, so when Samsung allowed a 3,000 mAh battery, I was somewhat disappointed. You’re talking about a 5.7 inch QHD display here, along with a powerful octa-core processor. Here again though, the Note 5 exceeded expectations. On a regular work day, with exactly 26 phone calls, lots of IMs, social networking and about 20 minutes of gaming, at midnight, the phone had 15% of battery left. This is without using the battery saver mode at all, and that’s about as good as any phone in the market can give you today. We’ve discussed Samsung’s prowess with cameras in the Galaxy S6 Edge and S6 Edge Plus review, so we’ll simply direct you to those for this one. Samsung Galaxy Note 3 OR Google (LG) Nexus 5? Samsung note 5 or Iphone 6s ?